Laser hair removal in Manchester is a medical procedure, and your practitioner will outline the steps that need to be taken before your first treatment. You must cease waxing, tweezing or having electrolysis on any areas to be treated approximately 6 weeks before laser treatment. This is because the laser needs to target the root of the hair, and this will be temporarily removed if it has been plucked out. In addition you must limit your exposure to the sun for two weeks before treatment and for two weeks after treatment. The reason for this is that exposure to sun can make treatment less successful, and it can also increase the chance of any complications. Immediately before you have your first laser hair treatment, you must shave your hair. The laser will be adjusted to take into account the colour and thickness of the hair, as well as its location. You will be given special goggles to wear, to protect your eyes during treatment. 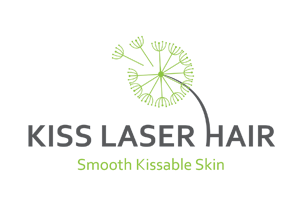 The actual laser produces pulses of light that will target the hair follicles while leaving the surrounding skin unaffected. You'll be fully monitored at all times during treatment, ensuring it's as safe as possible. Immediately after treatment you may feel some slight discomfort, and this can be soothed with the application of ice packs or cold water or through the use of anti-inflammatory creams and lotions. You should be able to schedule your next treatment for approximately 6 weeks later, but this can vary and you will be advised when is best for you. In the first two days or so following treatment your skin may well look a little red or swollen, but this can be helped with the application of moisturizers and cold compresses. Rare complications include blisters or changes to skin colour.